Over the last decade or so, a few of the NBA’s premier forwards have been with the Portland Trail Blazers. 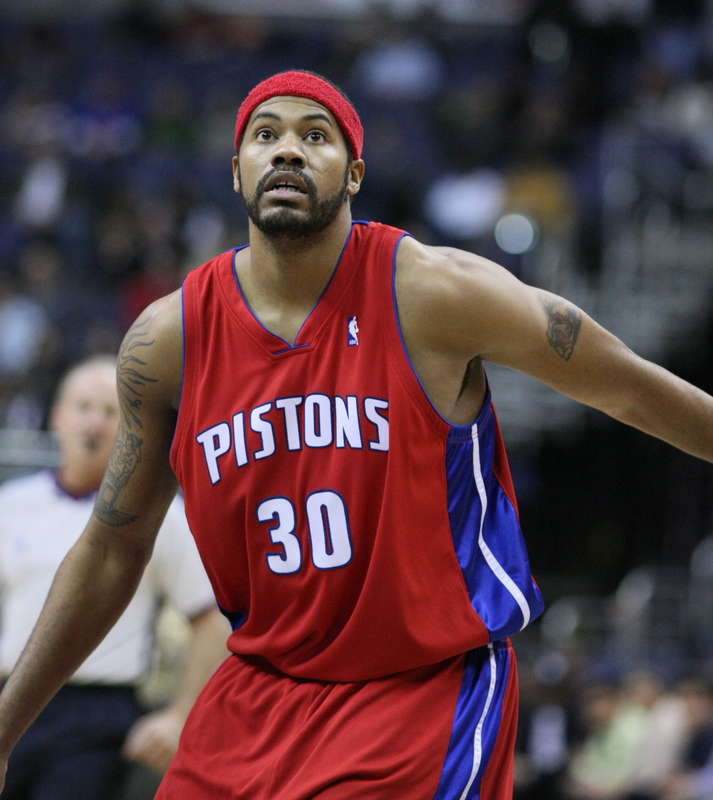 Rasheed Wallace was traded when Zach Randolph‘s career was just getting started, then Randolph was traded just when LaMarcus Aldridge became (and remains) a building block for Portland. 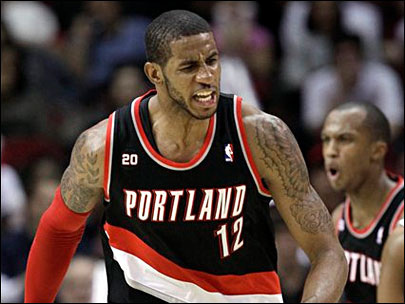 Of the three forwards, Aldridge is the only one who’s kept his head on straight through the first half of his career. Let’s hope that doesn’t change. And last night against Houston, Aldridge became the only one of the three to accomplish the statistical feat of 30+ points and 25 rebounds as a Blazer. No player in the franchise’s history had accomplished that. One particular offensive rebound — leading to a bucket and a foul — triggered memories of Wallace a decade ago. Where was this when ‘Sheed was in his prime? He’s one of my favorite players ever, but I can’t get past him never averaging 20 points and 10 rebounds (let alone nine) for a single year. More on his rebounding in a bit. Aldridge has been on an absolute tear recently, averaging 13 rebounds in his last 10 games along with 25.9 points, 2.9 assists, just 1.3 turnovers, and 1.5 fouls. The rebounding numbers are a little misleading since Aldridge is the only rebounder in the top 25 to grab less than 30 percent of contested boards, according to SportVU, but it’s nonetheless impressive. We know now that Wallace never became elite on the glass, but Aldridge had only been an average rebounder going into this season, similar to ‘Sheed at the same stage of his career. Because of that, I wanted to look at the two forwards who came to Portland ten years apart and their rebounding, specifically between the ages of 25 to 28 when both came into their own as players. Adding field goal attempts, free throws, etc. was tempting, but those stats don’t necessarily make rebounding much worse if at all. (You’ll see in the next graph that ‘Sheed’s rebounding actually improved when he started taking threes.) From the per-36 numbers, though, neither player’s rebounding stats are all that impressive. Wallace’s look quite terrible. Worth noting: Last night, Aldridge nearly doubled his percentages coming into the game, getting 12.2 percent of available offensive rebounds, 45 percent of defensive ones, and 29.2 percent total. Neither player’s total rebounding percentage over a four-year span lights up the league, though. Among the 290 forwards and centers from 2011 to 2014 (minimum 40 games played), Aldridge is ranked 119th. As for Wallace, from 2000 to 2003 (minimum 50 games), he was 163rd out of 279. Aldridge sits between the top-third and top-half of the league, Wallace lies between the bottom-half and bottom-third with a percentage less than Eddy Curry‘s, post-surgery Tom Gugliotta‘s, Keith Van Horn‘s, and Dirk Nowitzki‘s, among other players not known for their rebounding either. What separates Aldridge from Wallace a decade ago is the offensive glass, even if Aldridge’s seems to be declining each season. Like mentioned earlier, Wallace’s rebounding percentages increased when he started taking threes, but the offensive rebounding dipped slightly. He was 226th out of 279 forwards and centers in offensive rebounding percentage while Aldridge is currently 125th out of 290, a clear difference between terrible and average. Personnel also affects rebounding totals. There’s just not as many rebounds available when playing alongside Marcus Camby and Gerald Wallace, which Aldridge occasionally did during 2011 and 2012. His rebounding improved when playing alongside J.J. Hickson and Nicholas Batum, the former replaced by Robin Lopez this season. It’s a similar case for Wallace, who played with Brian Grant (traded after ’00) and Arvydas Sabonis in through ’01 before improving in defensive rebounding with Dale Davis at center. Sabonis came back in ’03 to play a limited role. Regardless, Portland was a top-10 team in total rebound percentage from ’00 to ’03, according to NBA.com. They were also in the top-eight each year in offensive rebounding and no worse than 12th in defensive boards. The Blazers from ’11 to ’14 were hot and cold on the glass, though. In their seasons as a playoff team — ’11 and likely ’14 — they’ve been both the best offensive rebounding teams and at stopping the fast break. In their lottery-bound seasons of ’12 and ’13, however, they were a bottom-10 team in each category. Defensive rebounding percentage over those four seasons has been consistently below average, never above 18th. In the years following ‘Sheed’s stint with Portland, his rebounding percentages fluctuated. They were often higher in Detroit but dipping in Boston. (Bill Simmons was especially not happy with his performance as a Celtic.) As for his cup of coffee with New York, I pretend it doesn’t really exist. Meanwhile, Aldridge’s rebounding used to be something that neither jumped out nor was worth getting too frustrated about. Through one-fourth of this season, it’s helped him become an MVP candidate. All statistics via Basketball-Reference unless noted otherwise.